They already have Van Gogh, so why not add another monumentally important painter such as Rembrandt to the brand’s pen collections. While the Van Gogh pens mimic the deep color schemes and style of his impressionist paintings, the Rembrandt pens take a different approach. The pens are modeled after a technique of Rembrandt’s involving using the contrast of light to create volume and drama. Those, indeed, would be the two words I would use to describe the Rembrandt Collection. I would expect nothing less than this impeccable attention to detail and new design from the brand. 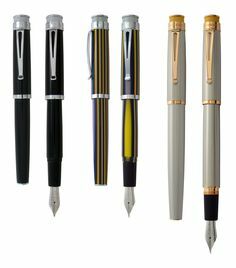 Visconti is known worldwide for being creative and technological innovators, and that is epitomized with the Rembrandt Collection. The 12 new pens in the series offer a vast array of colors and styles ranging from deep blue fountain pens to ivory-white rollerballs. All pens in the collection are accented with a palladium finish, a newly designed indestructible clip, and a finely and beautifully engraved metal cap ring around the center of the barrel. Another brand that similarly combines new technology with flawless style is S.T. Dupont and the new Carbon Fibre pens are a testimony of that. These pens offer a smooth and unparalleled writing experience because of the lightweight technology used to construct the pens’ refills. Whether you’re looking for a gift for an art collector, or a pen enthusiast, I would definitely recommend one of the Visconti or S.T. Dupont pieces. See for yourself at Executive Essentials! Strong. Defined. Powerful. Innovative. These words describe the reign of Queen Elizabeth I, and what’s more impressive is that they also apply to Montblanc’s new pen dedicated to her throne. 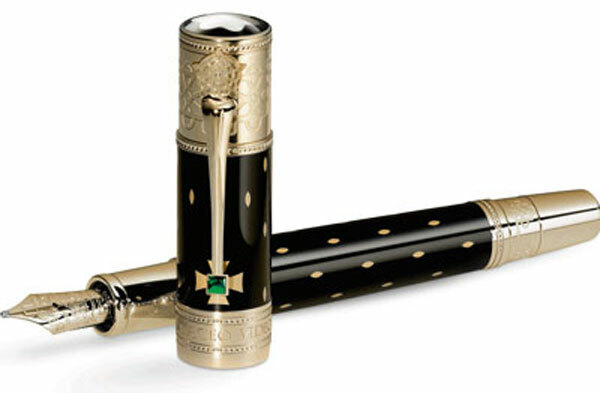 Montblanc released two limited edition fountain pens that capture the essence of 16th century England. Thanks to Queen Elizabeth I, England was a world super power that created the foundation for a historic age of culture. Montblanc recognizes this epic era with its pens. The brilliant lacquer of both writing instruments is modeled on the royal garments of the Queen. The royal insignia is well represented on the cap by the Tudor rose and the cross of the British Crown, along with a green cabochon on the clip. To finish off the adorned cap, the words “Video et taceo” meaning “I see and say nothing” are engraved as a reminder of the famous Queen’s signature motto. The Queen Elizabeth I fountain pens come in two editions; one is limited to 4810 pieces while the other has only 888. If you are a fan of British History, this pen is the perfect collection piece. This pen is also a worthy addition to any desk or collection and is sure to spark conversation. 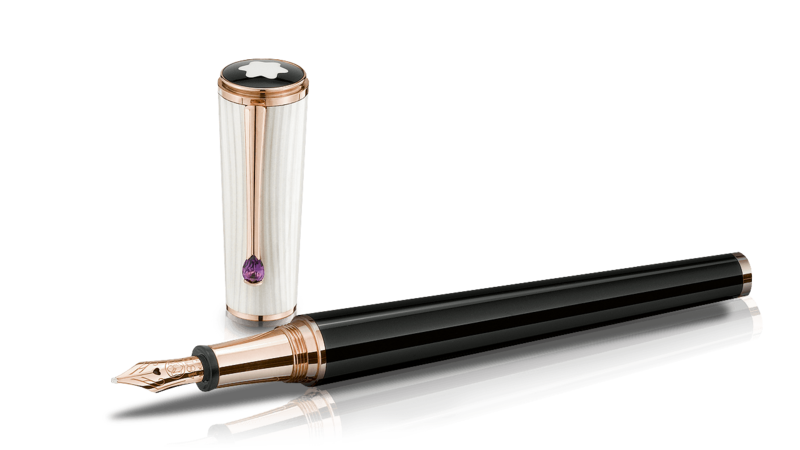 Help honor the spirit of the Queen’s dynasty with the new Montblanc fountain pen!